I visited my local phone shop this week and was greeting with the obligatory "Hello. Can I help you?" by the Sales Assistant, Tom. A closed question, which elicited a reply of "No". End of conversation. If however, Tom had asked, "Are you looking to upgrade your phone or see what’s new? ", then we would have started a conversation, which Tom would have been in control of. Not only is this approach more natural and sincere, but it’s more likely to lead to a sale. 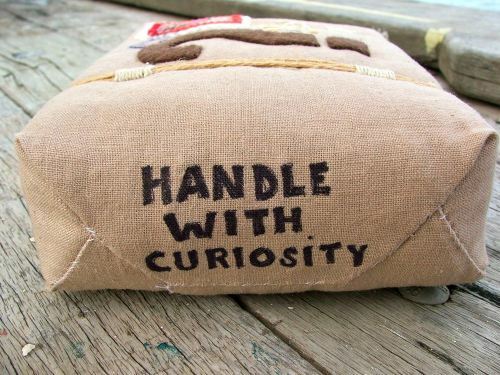 It pays to be interested rather than interesting, and to handle your prospects with curiosity. The cop got out of his car and the kid who was stopped for speeding rolled down his window. "I’ve been waiting for you all day," the cop said. The kid replied, "Yeah, well I got here as fast as I could." When the cop finally stopped laughing, he sent the kid on his way without a ticket. A college teacher reminds her class of tomorrow’s final exam. "Now class, I won’t tolerate any excuses for you not being here tomorrow. I might consider a nuclear attack or a serious personal injury or illness, or a death in your immediate family, but that’s it, no other excuses whatsoever!" A guy in the back of the room raised his hand and asked, "What would you say if tomorrow I said I was suffering from complete and utter sexual exhaustion?" The entire class is reduced to laughter and snickering. When silence is restored, the teacher smiles knowingly at the student, shakes her head and sweetly says "Well, I guess you’d have to write the exam with your other hand." This entry was posted by admin on September 9, 2012 at 7:18 am, and is filled under Awesome Living, Mindset, Set & Match, The Art of Awesome Living. Follow any responses to this post through RSS 2.0. Both comments and pings are currently closed.